11 Year Old Shoots Mom’s Abusive Boyfriend Who Stabbed Her Repeatedly. Leonardo Henry, 25, is now in police custody after breaking into his girlfriend’s home and stabbing her. Henry entered the home and stabbed the mother in the face, neck, and chest. Police say that’s when 11-year-old Jayda Milsap shot Henry twice, protecting her mom from the attack. A week prior to the incident, her mother, Brandy Moreno, filed a restraining order against Henry saying that he had been molesting several kids in the middle of the night for several years. Moreno told police she was afraid that Henry would hurt her and her children for going to the police. 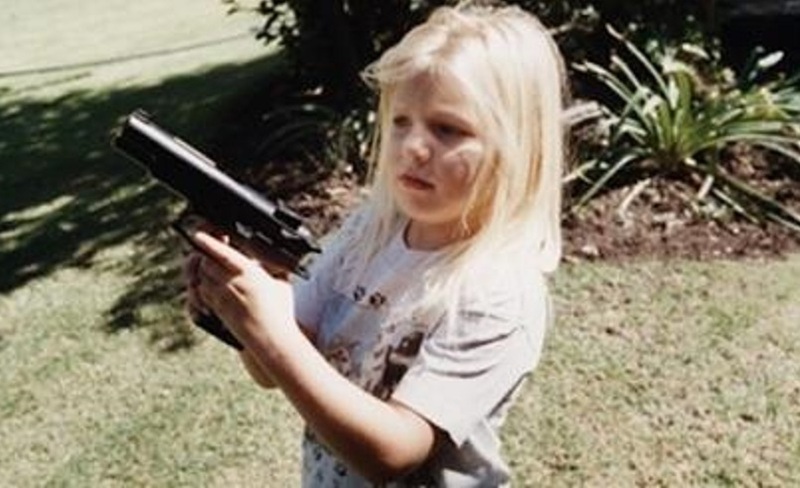 Reports state that a neighbor taught the young girl how to use a gun so that she could protect herself. When Henry broke in, Jayda shot him twice with a handgun and he fled the home. He was found injured just down the street and was taken to a hospital and it’s listed in serious condition. Moreno was taken to the University of Oklahoma Medical Center and is also listed in serious condition. Moreno’s children have been taken into protective custody while their mother recovers. Listen To How This Teacher Talks To His Students, It Will Shock You!